Samsung Electronics will continue working to improve the accuracy of its artificial intelligence platform Bixby’s speech recognition by providing a comprehensive tool for third-party developers around the world, the tech titan’s officials said at a forum Tuesday. At the first Bixby Developer Day in Seoul, Samsung unveiled the details of the newest software development tool dubbed “Bixby Developer Studio” to Korean developers and encouraged them to join the tech company’s journey to develop Bixby as a platform. Samsung released Bixby 1.0 in May 2017 and the second edition in September this year with the Galaxy Note 9. “Bixby’s speech recognition capabilities will continue improving as we draw more outside developers who are using the same tool as the inside developers,” said Lee Ji-soo, vice president of the AI team at the IT & Mobile Communications Division of Samsung. 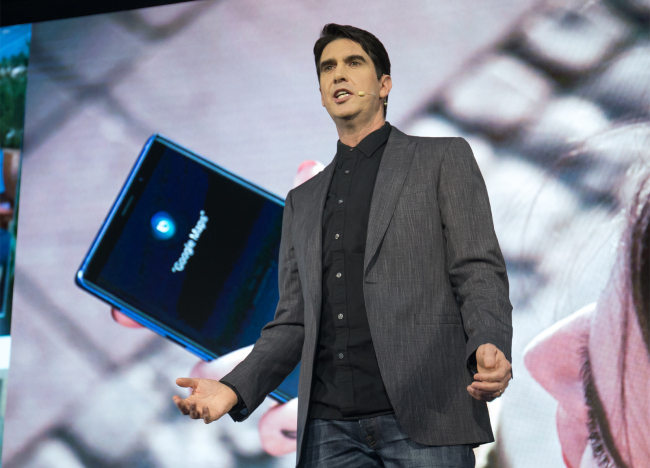 Lee, an expert on interaction between humans and computers, is also in charge of the AI and Bixby strategy group at the mobile division of Samsung. “Samsung is focusing on increasing the variety of objects that can have interactions with humans through the voice assistant, whether it be a mobile device, TV, refrigerator or an air conditioner,” Lee said. Samsung officials underscored how Bixby can differentiate itself from competing platforms by being able to understand the characteristics of different devices, for example the varying characters and roles of a TV and an audio speaker. Samsung is offering third-party developers with the Bixby Developer Studio accessible on the web to download the insiders’ tool and let outsiders store their source codes and reuse the codes. 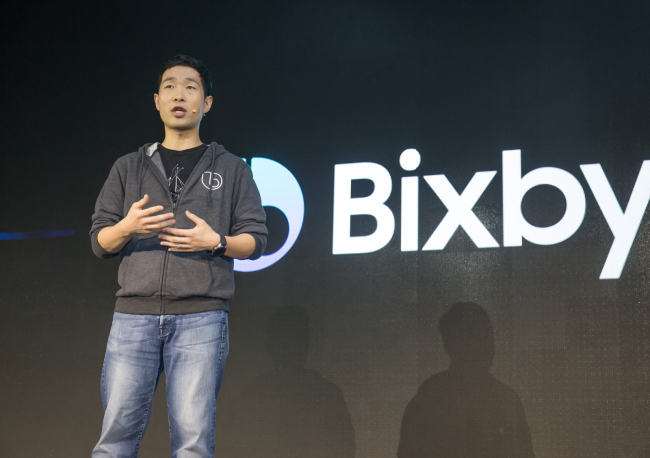 First debuted at the Samsung Developer Conference in San Francisco earlier this month, the Bixby Developer Studio is currently open to US, Korean and Chinese developers. “The beta version was privately opened to several developers in June, and now it’s being used by hundreds of developers,” said Adam Cheyer, vice president at Samsung. Cheyer was a co-founder of Viv Labs that was acquired by Samsung in 2016 for the Bixby development. “Samsung now has more third-party developers than Google does (in AI),” he added. Samsung’s ultimate vision for AI is to make an intelligence platform that is available ubiquitously via any device in any language. The company is also in the works to launch British English, French and Spanish language services in the coming months, the executive said. “Bixby’s scalability will go beyond smartphones to smart home, automobiles, medicine and entertainment,” Chung said.